The P420 is a large-diaphragm FET condenser with three polar patterns, switchable pad, and switchable filter. It is a 3rd-generation mic, following the Perception 400 and 420, but the differences between these three microphones are subtle. 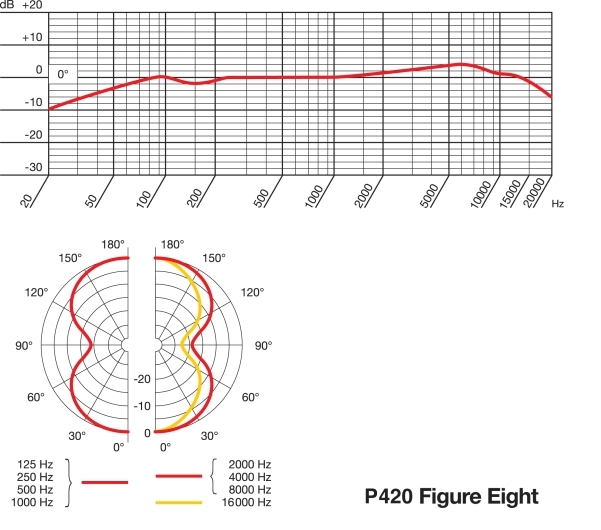 Like its immediate predecessor the Perception 420, the P420 is based on the Neumann U87 Ai. The circuit is a single-stage JFET with negative feedback; the NFB provides corrective high-frequency rolloff for the capsule. The mic’s output is balanced by a small transformer. The P420 circuit boards are likely to be implemented with nearly 100% surface-mount parts, because that is true of the P220 (in which only two inductors are leaded components). A 3-position on the front of the microphone allows access to three polar patterns: Cardioid, Omnidirectional, Fig-8. Two 2-position switches on the rear of the mic independently enable a 20dB pad, and a fairly aggressive high-pass filter (-12dB/Octave @ 300Hz). 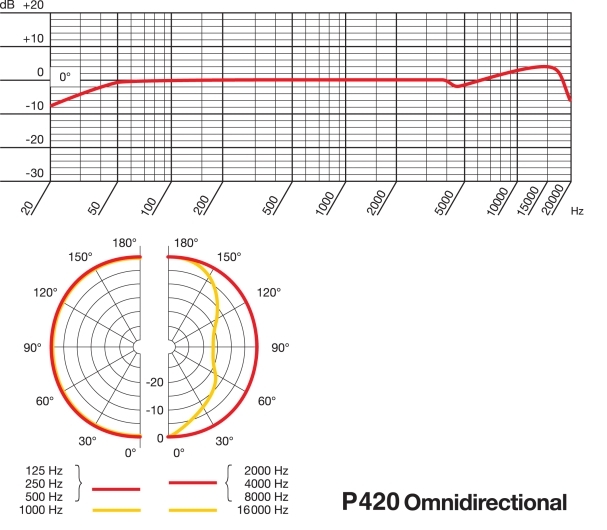 What are the differences between the AKG P420 and AKG Perception 420? The P420 is black; the Perception 420 was metallic blue. 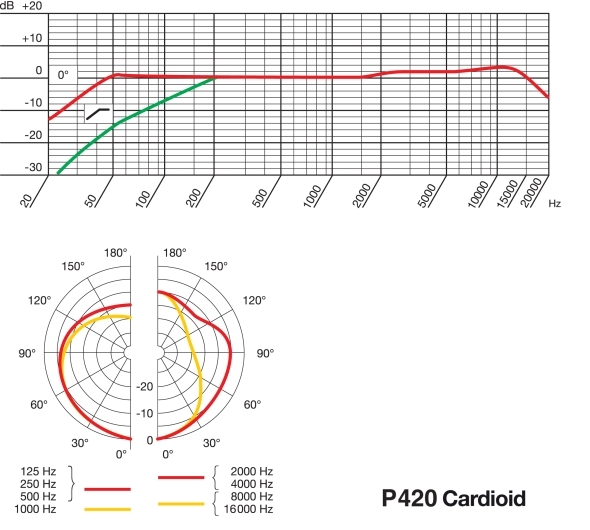 The P420 is rated at 15dBA self-noise; the older Perception 420 was rated slightly higher, 16dBA. P420 MSRP is $359, much lower than the older Perception 420 ($579).